On the go with no time to spare? 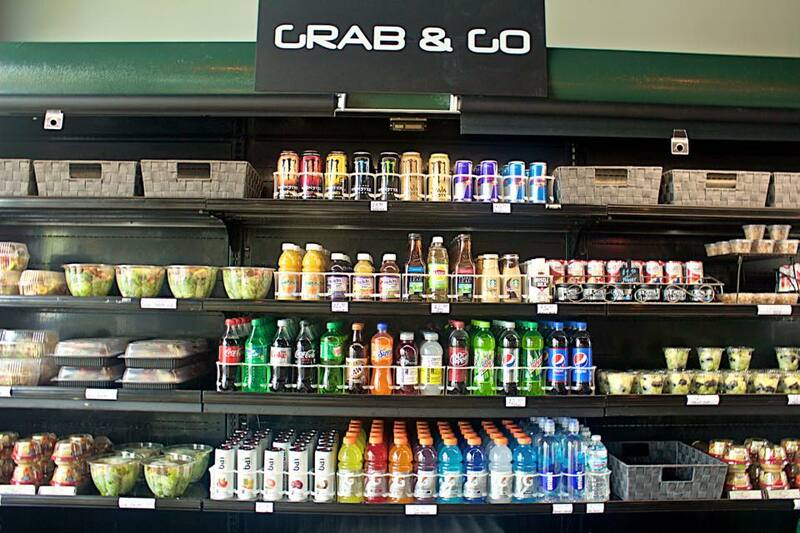 Jump on over to our made fresh daily Grab & Go Cooler to grab a Sandwich, Salad, Wrap, Snack, Dessert, or some Fruit to take it back to the office with you or on the road! Everything on our menu is made fresh to order, however this is a great alternative to even the busiest person to be able to still eat a healthy balanced Lunch.